The coastal city of Stavanger ranks among Norway's top culinary destinations, its fine restaurants and food fairs an increasingly popular attraction with impassioned foodies from around the globe. Despite its reputation as one of Europe's energy capitals, the harbor city remains one of the country's most sophisticated cultural centers, its quaint streets filled with museums and galleries. Big tourist crowds usually congregate in Stavanger's old town, a compact area known for containing nearly 200 historical wooden houses. 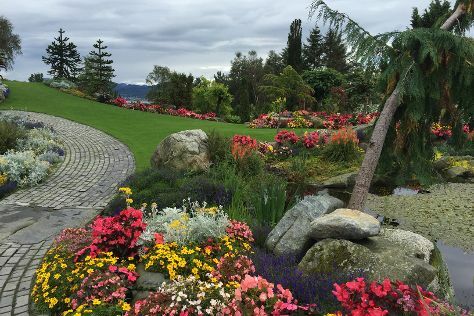 Farther away from this busy district, the city offers plenty of well-maintained parks and gardens, which are used as both recreational areas and outdoor concert venues. Stavanger is in Stavanger Municipality. Make the most of your holiday in Stavanger by finding out about its attractions and choosing what to see using our Norway road trip app . As with any Norwegian city, the high price of accommodations in Stavanger might be a bit of a shock. Luckily, the Norwegians have such a fondness for outdoor activities that most tourist destinations seem to be well served by several campsites in nearby areas. Rent a tent or a rustic cabin to appreciate Norway’s nature and cut costs. Alternatively, look for hotels in the city center around the Storhaug borough. Slightly outside of Stavanger lies the popular Sola Beach, where high-end hotels put you just steps from the sand.